Where is that little fellow? Guess you're not afraid of me, not even a little bit. 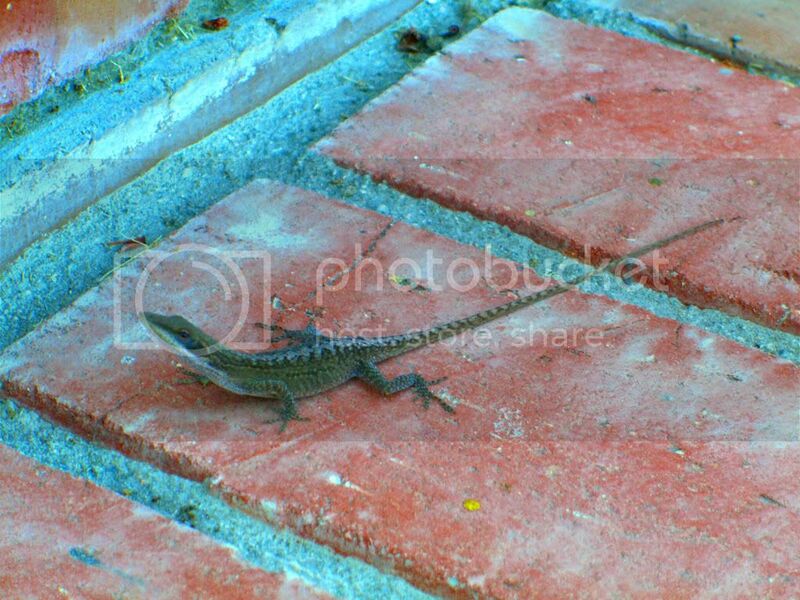 My camera was only 5cm away from the lizard. I had to hold 3 plastic boxes in one hand, my purse in the other while taking lizard pictures at the same time. Lizard: Can you just quickly take a picture and leave me alone?